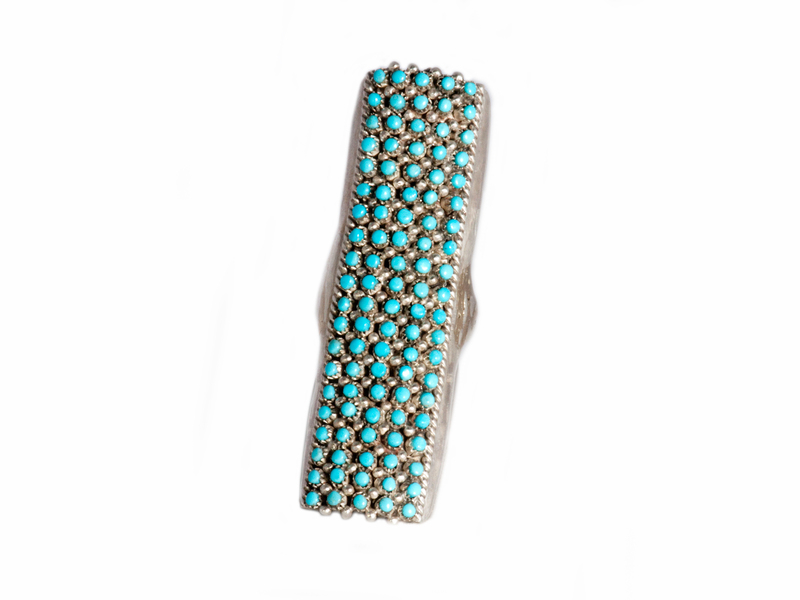 Long Snake Eye Turquoise Ring handmade my Zuni artist Peter Haloo. Long Snake Eye Turquoise Ring handmade my Zuni artist Peter Haloo III. This remarkable ring features small hand cut sleeping beauty turquoise stones set in sterling silver. The ring is size 7.5 but can be sized on request. The Sleeping Beauty Mine, located in Globe, Arizona, is no longer an active mine. 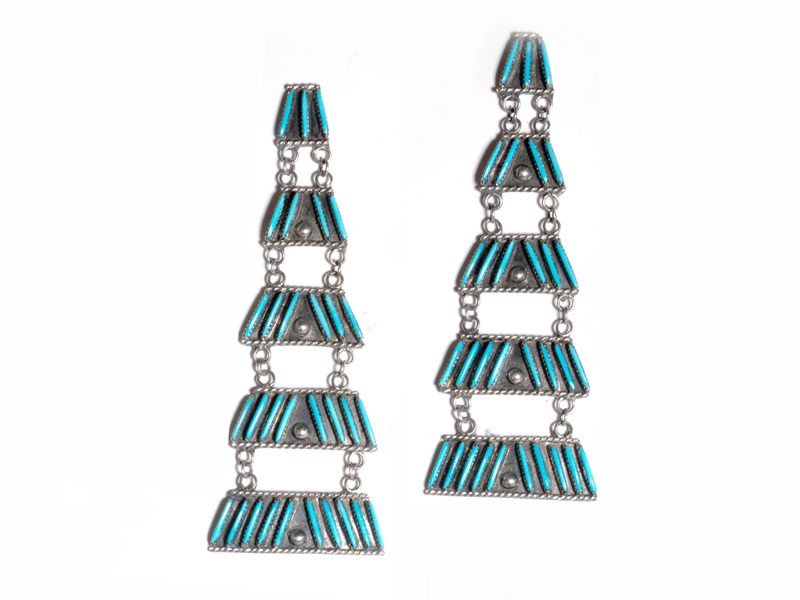 For many years it produced a wide range of turquoise that is now even more highly prized for it’s solid soft blue color, with little or no matrix. The color of the turquoise ranges from a deep royal blue to a light sky blue. 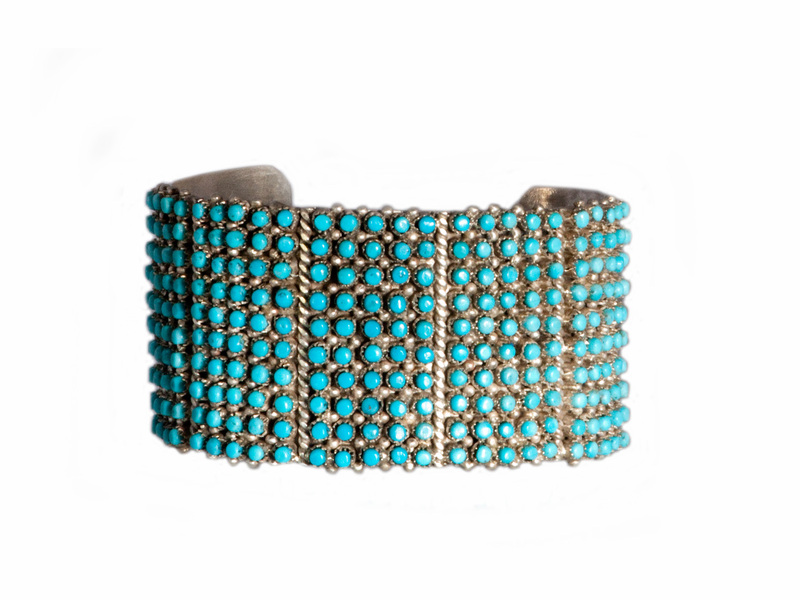 The mine originally was worked for copper and gold but during the last five decades or so it has produced gemstone quality turquoise in quantities to satisfy the commercial market. 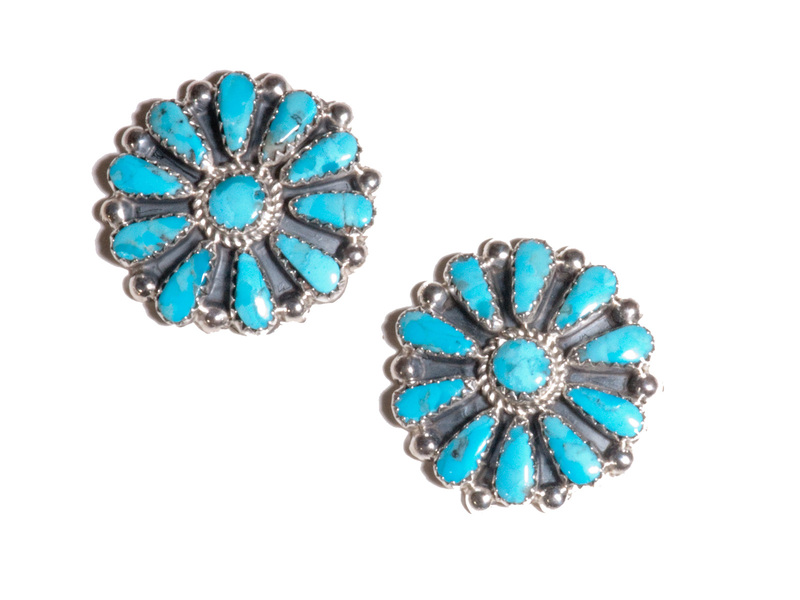 In general, the miners lease portions of the “dumps” and sort turquoise from there.